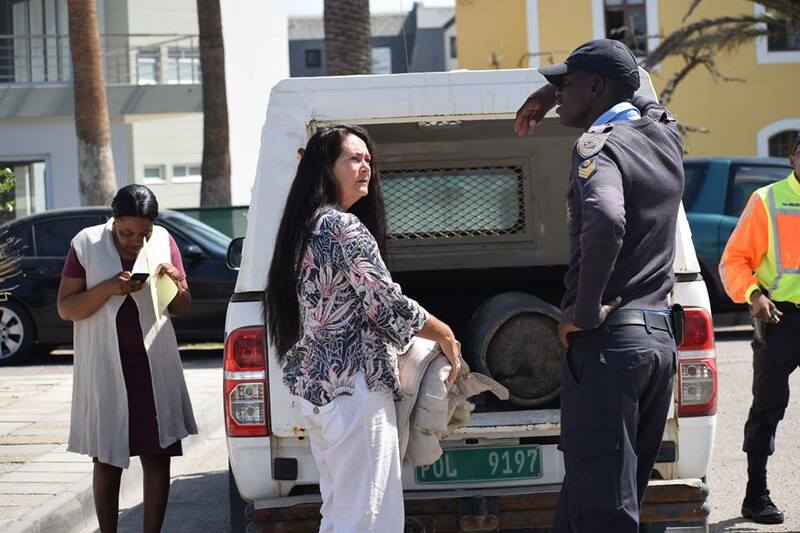 The 57-year-old Cheryl Antoinette Green, who was arrested in connection with the cultivation of cannabis plants over the past weekend after police raided her house in Kramersdorf, was remanded in custody during her first appearance in the Swakopmund Magistrate’s Court. During the raid on her house, officers confiscated 71 cannabis plants, 26 grams of cannabis seeds and some cannabis oil. The total weight of the plants after they have been uprooted was a little more than 3, 6 kilograms. The oil that was already produced was valued at N$2 500 while the combined value of all the illicit material was estimated to be about N$21 904. Green was arrested after her son was accosted in the street by drug law enforcement officers. During the stop and search procedure about eight grams of cannabis was found in his possession. Further questioning revealed that he got the illicit substance from home. The questioning led the police to his parent’s house in Namib Street and the discovery of the cannabis plants, seeds and oil. 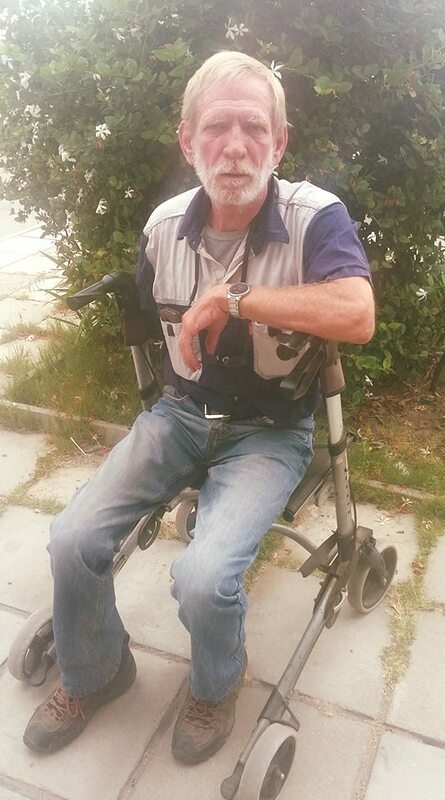 Green’s husband, Rainer Kring, can only walk with the aid of a specialised walker and is dependent on his wife for everyday survival. He has been suffering from debilitating Multiple Sclerosis for more than a decade. Besides almost incapacitating the patient due to the damage the disease causes to the central nervous system of the human body MS also causes the sufferer to experience extreme pain and discomfort. Green claimed during the court proceedings that she cultivates the plants for the sole purpose of making medicine for her husband to ease the pain he suffers from because of the MS. Cannabis oil is widely used to ease the pain of people suffering from cancer and reverse the effects of other debilitating diseases such as Parkinson’s disease. Kring said that since he was diagnosed with Multiple Sclerosis he could not afford the expensive medicine prescribed by doctors to treat the disease and added that since he started using the Cannabis Oil he does not suffer from pain and it also affords him a full night’s sleep. State prosecutor Beata Mwahi informed the Court that the prosecution opposes bail on the grounds of the seriousness of the matter and that it would be in the interest of society to keep the accused person incarcerated. 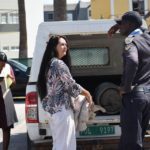 The presiding magistrate, Conchita Olivier, during court proceedings did not formally inform Green of the charges against her. Magistrate Olivier did however inform the accused person that the charges she faces are serious and that she should consider soliciting the services of a legal representative before remanding her in custody until 20 March this year. Green was also informed by the magistrate that she is free to bring a formal bail application to court in the meantime. The 57-year-old woman faces charges of transgressing Act 41/1971 Section 2A which relates to the possession and dealing in illicit drugs. The law prohibiting cannabis was carried over to Namibia from South Africa. During September 2018 the South African Constitutional Court ruled that it is no longer illegal for adults to cultivate or use marijuana in private. Deputy Chief Justice Raymond Zondo’s ruling upheld a decision to legalise the use of marijuana at home that was made by the Western Cape Province High Court the year before. The landmark ruling handed down by the constitutional court made South Africa the third African country after Lesotho and Zimbabwe to decriminalise the use of cannabis that is widely grown across the continent despite its predominately illegal status.